The 207 Sportium Special Edition hatchback, based on the standard 207 Active model, is now available with a choice of two petrol and two HDi diesel engines and £1,215 worth of extra specification for only £350 more than the “standard” vehicle. The petrol engines are a 1.4 litre 8v and 1.4 litre VTi 95 engine, and the HDi diesel engines are the 1.4 litre HDi 70 and 1.6 litre HDi 92. All engines are Euro 5 compatible. All Peugeot 207 Sportium models benefit from: power steering, four airbags, remote control central locking with deadlocks, electric front windows – “one touch” for the driver, reach and rake adjustable steering, Clarion Multi-media unit with 6.2” touch screen and European 3D Satellite Navigation, Built-in Parrot Bluetooth, Full USB /iPod / iPhone connectivity, ABS, EBFD, EBA, trip computer, electrically operated / heated door mirrors, manual air-conditioning, front fog lights, aluminium effect finish to the front grille, colour-coded body side mouldings and door handles, 15” Monaco alloy wheels on all 1.4 litre models and 16” Estoril alloy wheels on the HDi 92 model, Sportium interior pack (inc alloy footrest / pedals & gear knob) and dark tinted rear window / rear side glass. 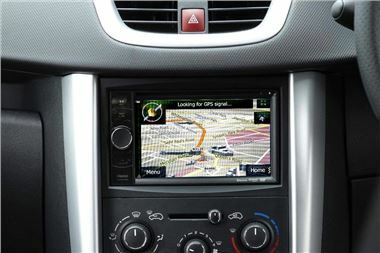 All 207 Sportium models come equipped with the latest Clarion Multi-media Navigation Unit which includes USB and Bluetooth connectivity. The unit is also capable of DVD and video playback when the vehicle is stationary. The full USB / iPod / iPhone connectivity enables a portable MP3 player or iPod to be connected to the vehicle and the built-in Parrot Bluetooth allows hands-free phone calls to be made and received by the driver. The Peugeot 207 Sportium is available in five exterior body colours, Bianca White, Aluminium, Thorium Grey, Onyx Black, and a new colour only available on the Sportium range, Oasis Blue. With low CO2 emissions and high fuel efficiency, the 207 Sportium benefits from Peugeot’s innovative VTi petrol engine technology and Peugeot’s class leading HDi diesel technology to minimise ownership costs. With ever-increasing fuel costs and emission based taxation affecting all drivers, the combined fuel consumption of the 207 Sportium HDi 70 at 67.3 mpg, combined with zero road fund licence costs , will ensure owners’ motoring budgets stretch as far as possible.